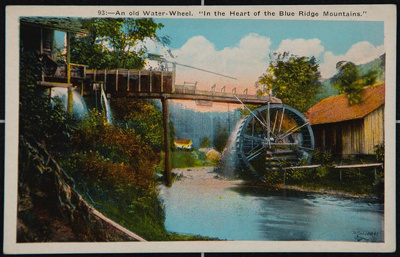 An old Water-wheel. "In the Heart of the Blue Ridge Mountains." Halftone postcard published by the Asheville Post Card Co., which was founded in 1910.